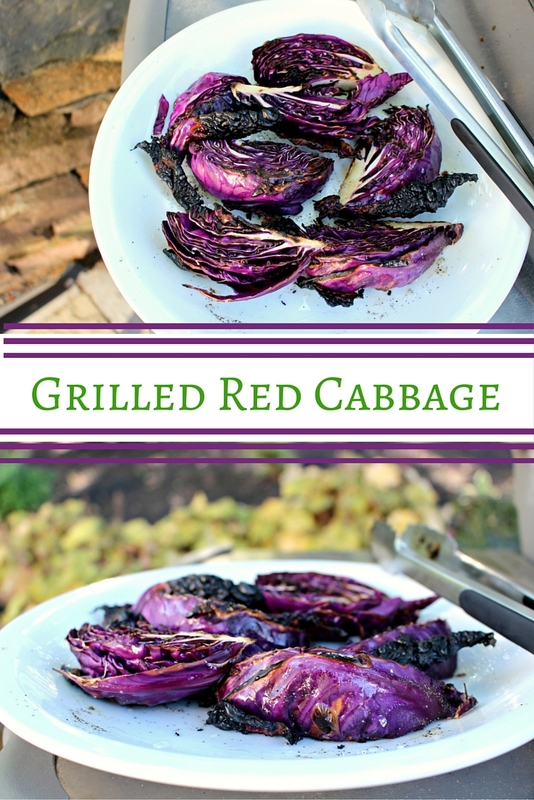 We love grilled romaine and baby bok choy, and pretty much every other veggie we have ever grilled (except radishes... but that's a story for another day), so why not grill cabbage? 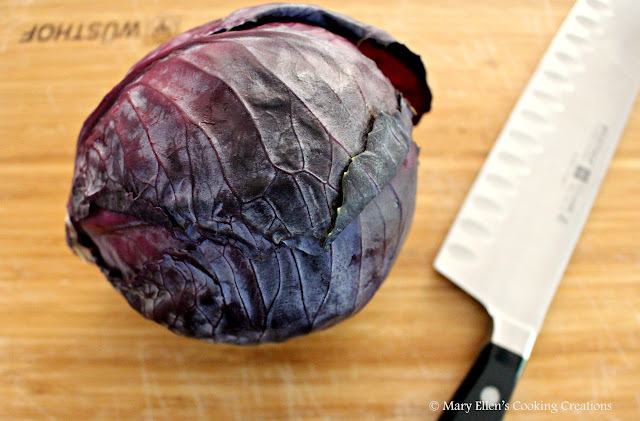 I picked up a small head of red cabbage on a whim the other day. 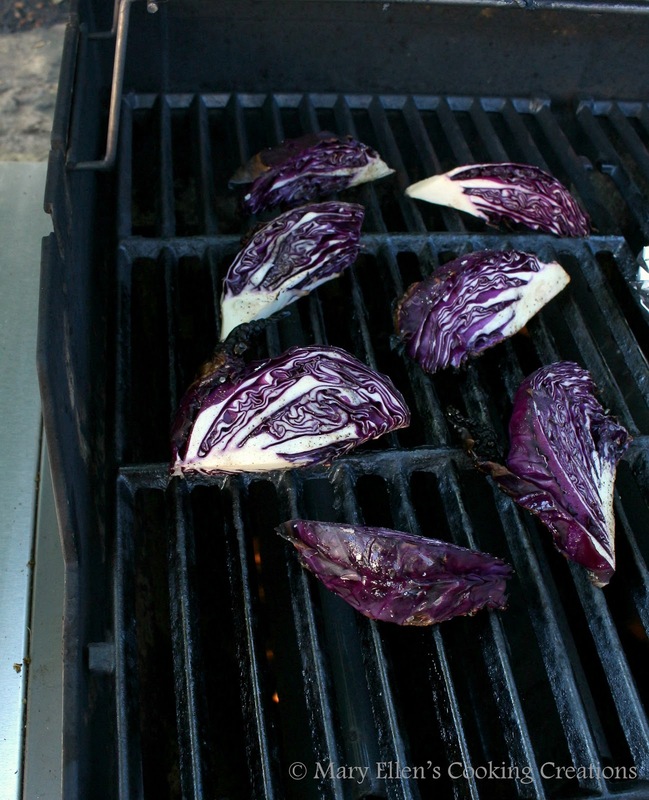 I thought I'd make some kind of slaw, but then decided to throw it on the grill. 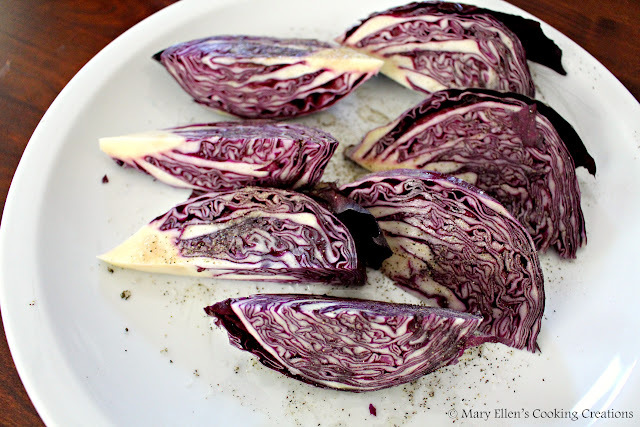 I cut the cabbage into wedges, poured olive oil over them and then seasoned with salt and pepper. 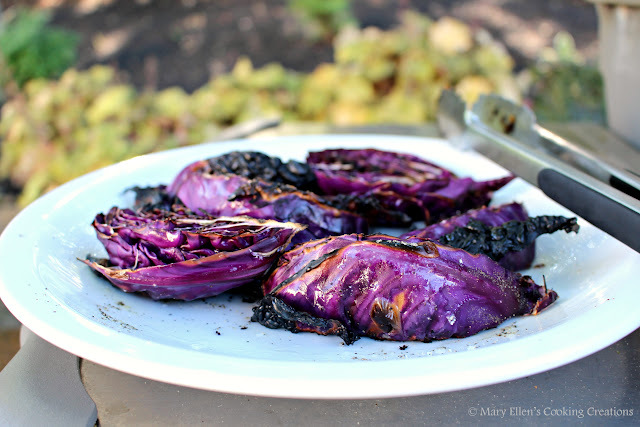 I had no idea how long they'd take, so I put them on the grill when our pork had about 5 minutes left. I figured that would give me about 15 minutes to cook the cabbage when I factored in 10 minutes of resting time for the pork. This ended up being perfect! 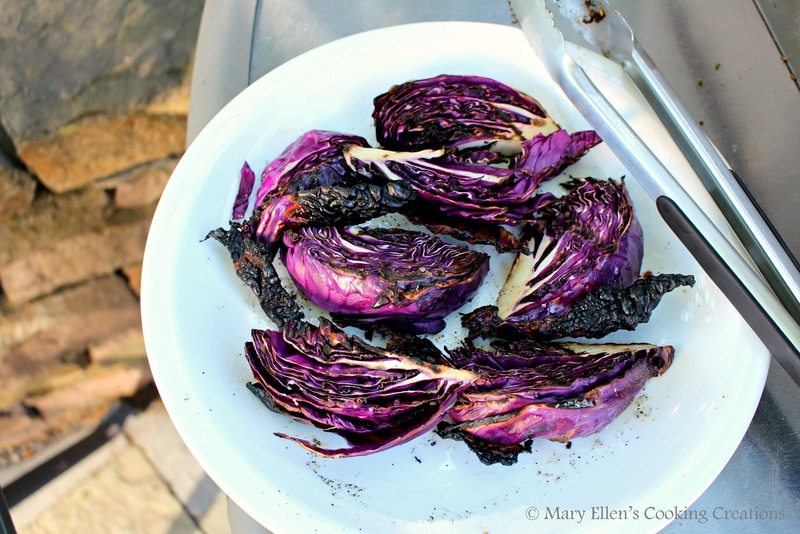 I grilled the cabbage for about 7 minutes on the first side and 4-5 on the second side.